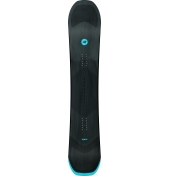 A new all-mountain offering from the squad at K2 the Broadcast Snowboard features a similar shape to the Joy Driver, but with a more playful and forgiving layup. Ideal for all-mountain chargers that like a balanced flex and plenty of pop, the Broadcast features the damp and forgiving qualities of a pure wood core wrapped in a carbon backed biax layup. The camber dominant profile supplies you with the control to lay trenches, while a tapered shape and rockered tip and tail make powder days a hit, too. Any day, any terrain. The K2 Broadcast Snowboard sends the right message! Directional Camber Baseline™ – Camber between the feet and a slight rocker in the tip and tail give you all of the power and energy of a cambered snowboard, but with a little extra float on those deep days. Biaxial Glass – Smooth all-purpose performance with a no-frills design. Fibers are woven together at 0°. This makes for a more responsive ride longitudinally and torsionally. 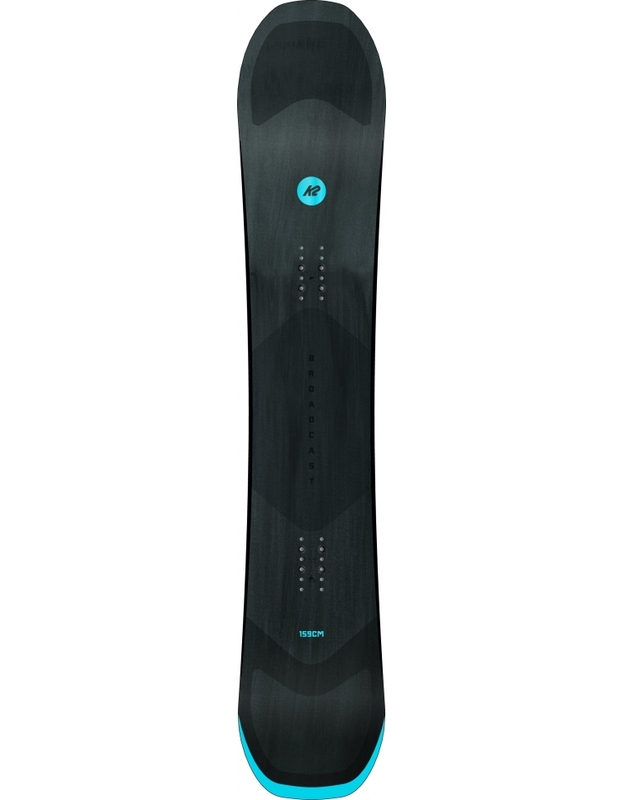 ICG™ Carbon Glass – Integrating tip-to-tail carbon fiber stringers into fiberglass lay-ups ensures a smooth power release in and out of turns while increasing pop, liveliness, and longevity of the snowboard without adding unnecessary rigidity. K2 offers ICG™ glass in two variations; ICG™ 10 Biax Glass and ICG™ 20 Triax.